March 10, 2013: 2013 Marathon Show #1 with Special Co-Host Michele from "Shut Up Weirdo"! 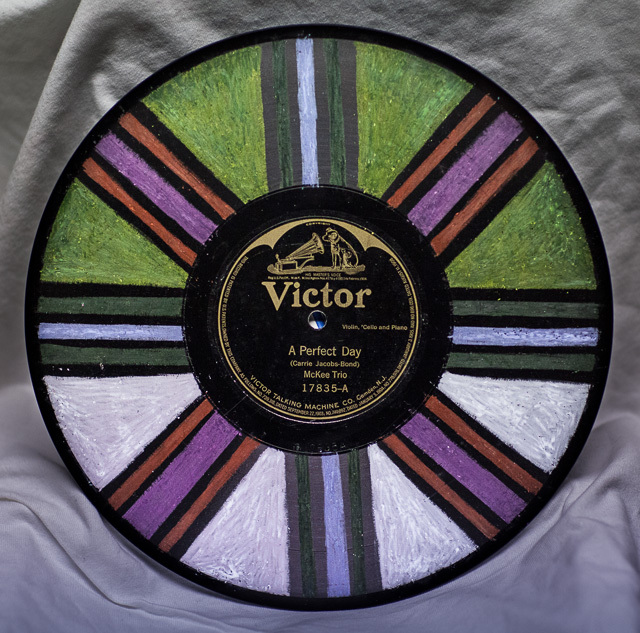 All pledges of $50 or more will be in the running to win one of two hand-colored 78s that I made all by myself. I'd like someone to give them a nice wall! Good morning, Joe! How will this spring forward shite work? Hey FoodBed, I'm making a frozen pizza in your honor. Hey, Holly! I'm going to shite forward somehow! Hey, everybody! Please pledge to me! I really deserve it! My mother never came, and stayed all night. Danne D is right. I do 2 1/2 hours and then Chris does 2 1/2 hours. The schedule calls for a DJ changeover at 2:30. Hopefully, the comments board can handle a switch on a half-hour mark. I recall there was a problem with that one time. I first heard the starshine song on Sesame Street. Hey, cbk! Hey everybody! How are you all doing tonight? Love your company-the check is in the mail. Food bed ahead! Let's get these pledges coming in for Joe and Surface Noise!! Me sick 2 Sigurdur. Had party here and nobody would take hint. Feel a whole lot better now that they're gone. See ya Danne D. Great work! I am very looking forward to my copy of Cowpunk Deluxe! I ate carbon water once, doctor said I'd be better. But I'd never be well. DJs like Michele consume massive amounts of alcohol on the air to raise money for WFMU, risking brain cells and liver damage in the process. Lifer and Lifestyler Matt checking in! Hey Joe and Michele! Let's pledge away! I ate damaged liver once, with onoins. It was delicious! That Jeff in Studio City ... what a guy. Do it for US, KP! Love is a feeling... a feeling you should share with WFMU! Pledge question: Can more pledges down the line be added to a total? How do I run a tab? @fleep: Do you have a Listener Number? That's the easiest way, but if you don't, just make sure to give your name, and address and all that info with each pledge--the "data slaves" will add up ALL your pledges at the end of the Marathon! *I* wouldn't be hearing you without the streams! I'm proud to support them! And the alternate streams too! @Matt Yes on the listener number, and thank you in advance data slaves. @Joe: I just received an email with my pledges thus far--is that a new feature this Marathon? I LIKE it! Good to have a half-way total, esp. for serial pledgers like myself! Roll up for the Magical Music Box! Joe, remember to plug the live music events that WFMU brings to the air. What other stations do that? Hey, Matt! Yes, it's sort of new! Da doo ron ron! My battery is dying and I need to rest. But you two are great! Keep it fabulous, friends! I found my other iPhone! Pledge in honor of Single File! You know you want it! Heard from you a lot this Marathon! Congrats as well for adopting the Miniature Minotaurs playlist! It feels great to participate!!!! @Matt there's a whole other week of shows, I am pacing myself to avoid premature epledgification. Talk of squirrels and their carcasses probably annoys Michele. Some joker keeps calling her Friday program making lame squirrel-related jokes. Hoo boy. @fleep: Don't want to preem in your wallet! It's not a sprint--it's a Marathon! As long as it gets to WFMU sometime, you're Cool Man on Comments! Ah, the Commodores originated this successful piece of bed music! Sorry Single File is so short this week, but maybe I'll slip one more 45 on before the end of the show. I like how Joe sometimes does two premiums to choose from! But I'm more grateful for the Prize Warehouse in that case, so I have another chance to pick up the other one years later! Maybe WFMU can have a one-hour micro-marathon in November when we switch back to standard time. Joe: You are forgiven. Go forth and spin some more. Wfmu should be in THE oPENING credits of the simpsons! Hello Joe 'n Michele. Another overcast day here but no snow.....yet..
@Sigurdur: Pendulum. Just give it a nudge. Punk those cows and then poke 'em! What the? 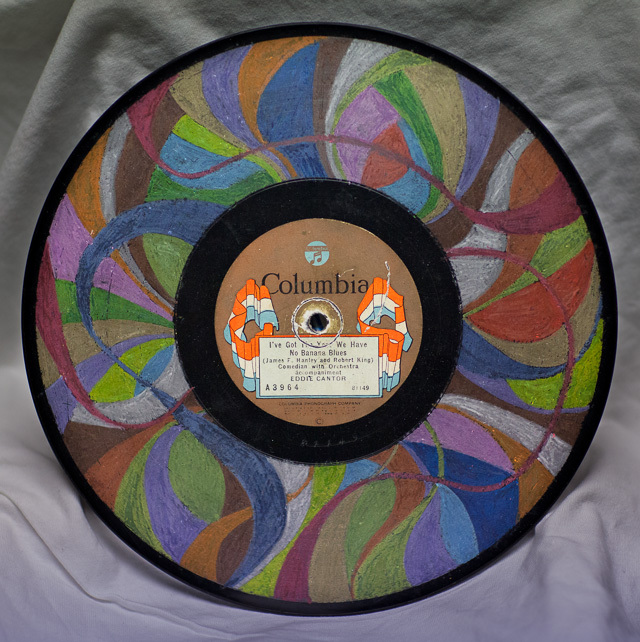 VH-1 is showing the world's largest record collection. It belongs to some guy in Pittsburgh, they say. The host looks like Baba Booey from the Howard Stern show. I really want to see Joe make his goal! What a way to wake up on Sunday. Thanks. Got to feed the chickens in a minute. No really. @Brian: You've got a lot of animals! Dog, cat, chicken...any more farm animals? Help me make my goal! I'm only at 58% right now and I only have, er, 40 minutes left! Matt. No, just grown up children. I include myself in that category. Hey Joe, this could be Jollity Farm. I'm doin' the Chick Chick Chicken dance to bed now. Conclave? Is Daniel Blumin phoning his vote for Pope into the Vatican? Sigurdur, are those dolmen in your picture? I'd count WFMU 10 TIMES!! @Sigurdur: 600 Hundred? Would that be 60 Thousand (60000)? Time for (food)bed? ¡Buenas noches! I'm more handsome & taller than previous. It works. "Shall we SWAG now, or SWAG for life, baby!" Sigurdur, thought they might be centuries old. Well I guess they are. @Sigurdur: That's a great story, would make an excellent documentary short film. Nachum mentioned the other morning that if you're over age 70-1/2, you can have your IRA or 401k contribute to WFMU. The Old Codger or an accountant can provide more details. It's Mother Day over here, do you have similar around the World? @Brian: In the US and Canada, it's the second Sunday of May. The UK keeps the medieval tradition of Mothering Sunday/Simnel Sunday, the fourth Sunday of Lent. Happy Mother's Day! Make a pledge in Mom's name! My mothers name is heidbjort and she does not depart until monday,,,,,, what about everone elses MOM? OMG I adore Jon Wayne ! I would need a medium!!! Can you afjord to pledge. iT REALLY QUITE DEPENDS on tke the lonng serpent!!!!!!!! @Holly: Thanks for adopting the Motherlode Miner again! This year, I've adopted the Record Library! I like adopting fixtures, I'm going to do it again next year too! This is a classic! LOVE the Muddy Water premium from last year! Yeah Matt, looking forward to Joe's Soul of a Woman this year. @Brian: Also getting that! Cowpunk CD scheduled for a future Prize Warehouse. Heavy Breathers is in the 'house now, that's one I need to get. So many good shows! And so many good premiums!! UGH, where to begin!!! A chore that I enjoy handling every year! Yum all up popping corn that's been popped! We had some here today! Good work Joe 'n Michele. Gonna be away next week. Matt I just press buttons not worrying about what will follow. @KP: The ONLY way to comment!